As usual all our devoted club members arrived bright and early to arrange the meeting venue and greet our guests. Thank you, joyful club members! 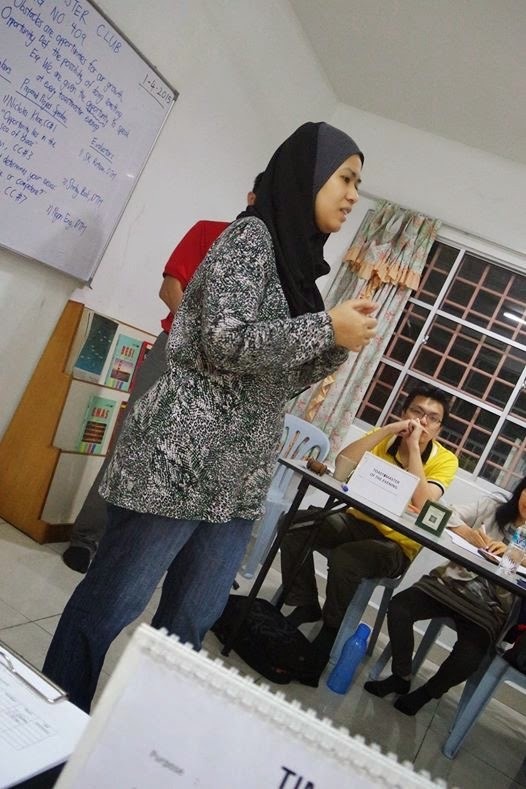 First of all, we welcomed the General Evaluator, Jerusha, ACB, CL, from CIMA Malaysia Toastmasters Club for her gracious presence at our meeting! 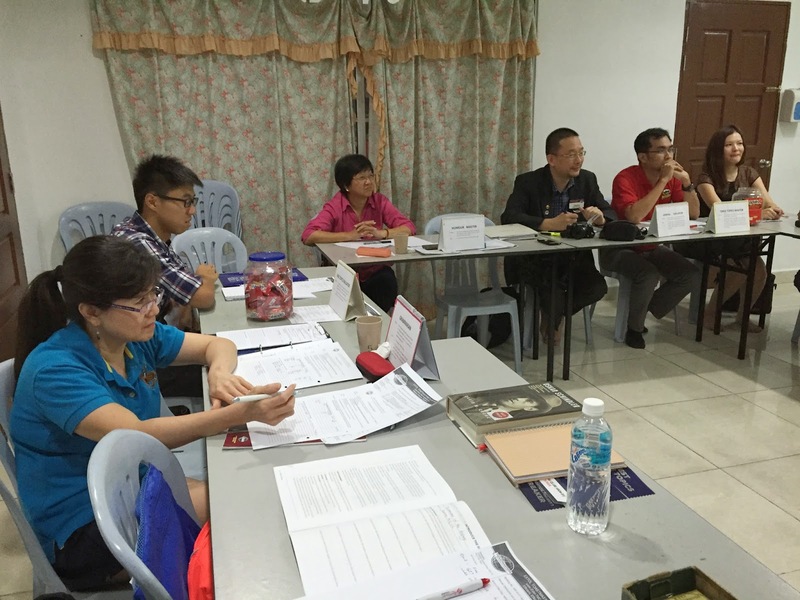 We also welcomed Ricky Soo and Joanne from MAD Toastmasters Club, President SY Phang from The School of Hard Knocks Toastmasters Club and Edwin, formerly with AFC Toastmasters Club. Thank you for attending our meeting! 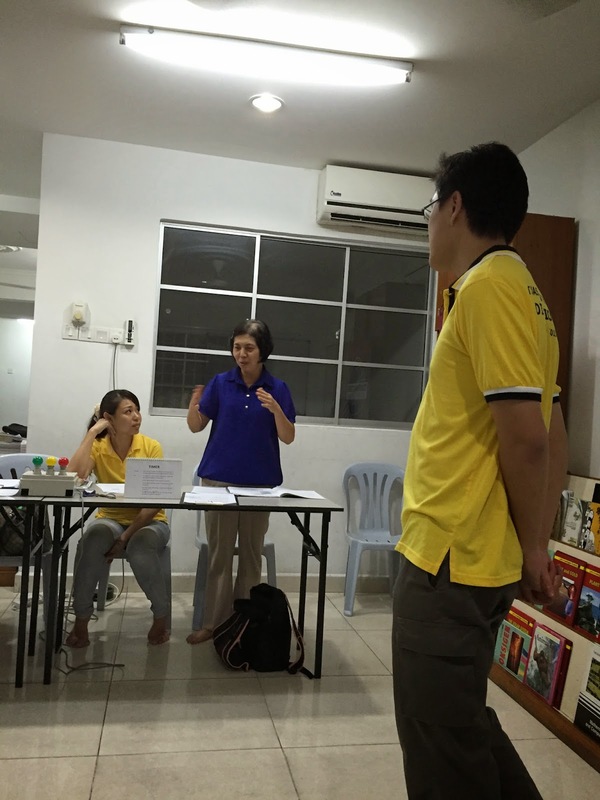 We hereby welcomed new members Alicia Leong, Tham Yen Lai. Victor Guijo, Joanne Kuek and Mohammad Akmal Ashaari for joining our club. Welcome to our happy Extol family! ASA, Pun Yew Kee started the ball rolling by calling the meeting to order at 7.15pm. You are superb, Yew Kee! President, Jeannie, ACS, CL, inspired us with a pep talk on the vital intangible ideals of “excellence” like being “kind and encouraging” instead of the tangible and realistic goals that most people pursue in their daily lives in order to be a model of excellence. Thank you, Jeannie! First time TME, Pei San, efficiently, effectively and effortlessly handled the whole meeting smoothly and excellently like an experienced TME. You did a brilliant job, San! Invocator, Jeannie, ACS, CL shared a story on the importance of controlling our temper to avoid spoiling our day and to start the day right, each day. Thank you for the advice, Jeannie! 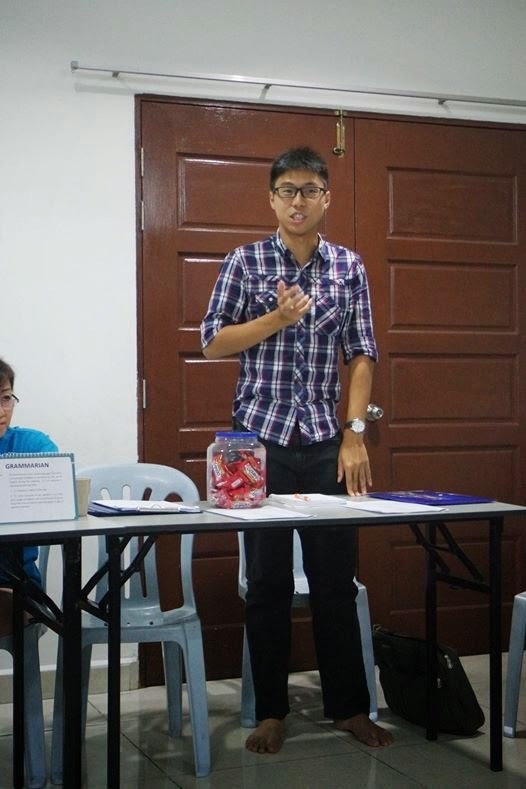 Table Topics Master, Nicholas Khoo incorporated the Word Of The Day, “Excellence” into all the Table Topics titles that allowed all impromptu speakers the opportunity to use it in their speeches. You are very “kind and encouraging”, Nicholas! The first Table Topics speaker, Victor Guijo encouraged us to cultivate appreciation of others to bring out the best in others, and eventually it will become a natural part of ourselves. In this way, excellence is achieved. Jerusha, ACB, CL, acknowledged that Malaysia is a land of paradoxes in areas of excellence as citizens wrestle with the new taxation system, simultaneously reaping the benefits in our daily lives. She encouraged us to be adaptable, come out of our comfort zone and see the world as an oyster as she had. Ricky Soo, expressed that even though at one time his idol was Tun Dr Mahathir but his all time idol is his mother, the “goddess” and ultimate model of excellence in his life. Joanne shared with us events during her visit to Japan which motivated her to learn the Japanese language so that she can enjoy her next visit to Japan which she declared as an excellent happening in her life. Edwin mused that others said he looked Japanese which he thought was an excellent aspect of himself. Therefore, he declared that he should learn Japanese from Joanne and marry a Japanese wife later on. Well done, all five extemporaneous speakers! And the best Table Topics Speaker went to Victor Guijo. Congratulations, Victor! Humour Master, SK Ratnam, DTM, shared five hilarious short stories; four wisemen, a woman who was not invited to dance, an unsatisfied man, a wife who lost her credit card, Afghani wives who walked behind their husbands and a Chinese illegal immigrant ordering food from a Jewish man, which set everybody laughing. You never cease to humour, SK! 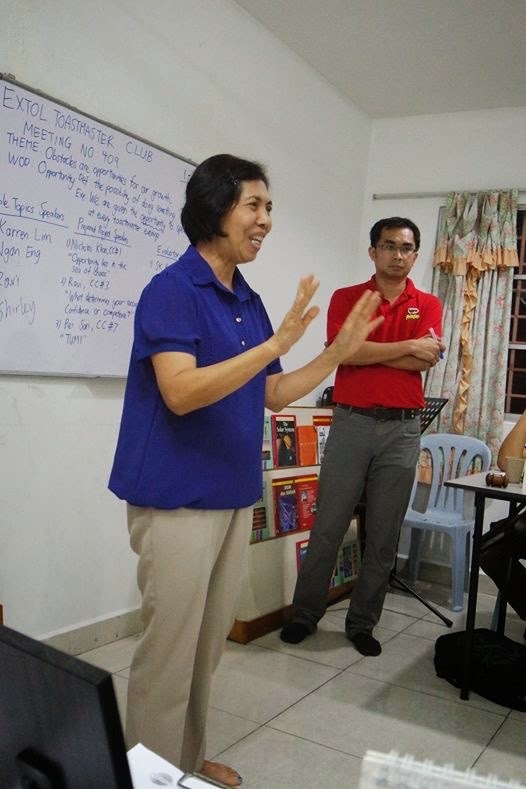 Shirley Bak, DTM, the Table Topics Evaluator appraised kindly all the five voluntary speakers to encourage them towards public speaking excellence. Thank you, Shirley! Alicia Leong presented CC#1 titled, “Life: A journey of decisions and possibilities” about her decision to live with her mother who was both inspiring and nagging which resulted in her obtaining a scholarship to pursue further studies overseas. We shall try to excel like you, Alicia! Her evaluator, Shirley Bak, DTM discerned that her speech is beyond an Ice-Breaker stage and she definitely will be an excellent public speaker. Thank you, Shirley! Second speaker, Ravi reiterated in his CC#4 titled, “We are what we do repetitively” the importance to inculcate positive thoughts to get positive actions versus negative thoughts which attract negative actions to invite positive repetitive things into our lives. We shall be positive, Ravi! His evaluator, Jeannie, ACS, CL commended his stimulating speech which was very inspiring and motivating. Thank you, Jeannie! Pun Yew Kee presented CC#9 titled ”How important is health?” by persuading us to drink sufficient water daily, adopt a proper diet and to exercise daily as health is very important to us. We shall include all these elements into our lives, Yew Kee! His evaluator, SK Ratnam, DTM was astounded with his persuasive speech even though his conclusion was too long and his speech went overtime. Thank you, SK! The Best Speaker went to Ravi! Congratulations, Ravi! And the Best Evaluator was SK Ratnam, DTM. Congratulations, SK! Ah Counter, Irene Han deftly reported on the word crutches used during the entire meeting. You are remarkable, Irene! 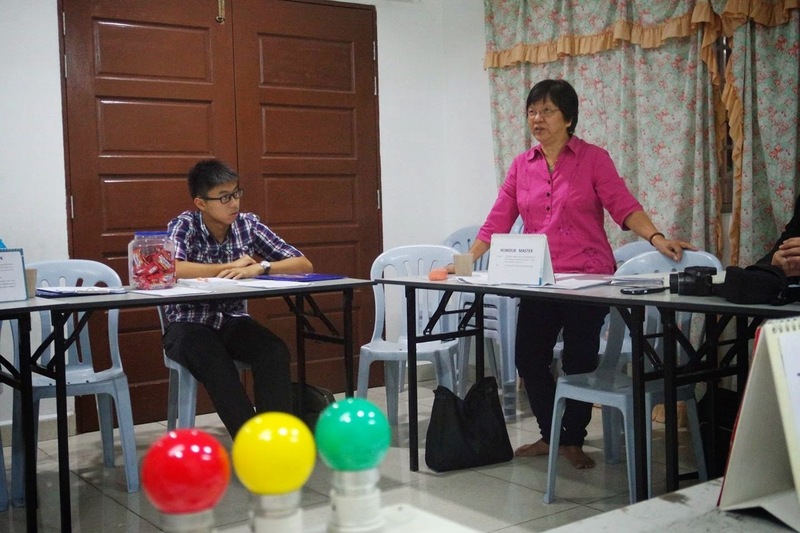 Grammarian, Sam Koh was very focused, reported on all who used the “Word Of The Day” and all the wrongful and creative words and sentences uttered during the meeting. You are great, Sam! Timer, Kwa Ngan Eng, DTM gave a precise timing report of the whole meeting! You are terrific, Ngan Eng! Ravi, the Listening Evaluator gave nine multifaceted questions which even baffled himself, ironically Jerusha, ACB, CL got seven all correct answers and was awarded the Best Listener. You are incredible, Ravi! Congratulations, Jerusha! General Evaluator, Jerusha, ACB, CL was pleased with our meeting proceedings, impressed with our role players’ placards, and was amazed with our Listening Evaluator session which she asserted that she would implement it in her club meetings. Thank you, Jerusha, we hope to see you again! In closing, President Jeannie, ACS, CL encouraged us to attend the Annual Conference in Langkawi which will be held on May 1-3 , 2015. Bye-bye! See you at our next meeting on 6 May 2015! Despite the daunting weather condition on this “All Fools’ Day” and irrefutable GST implementation day, some of our dedicated club members arrived early and set up the meeting venue efficiently. Thank you, happy club members! 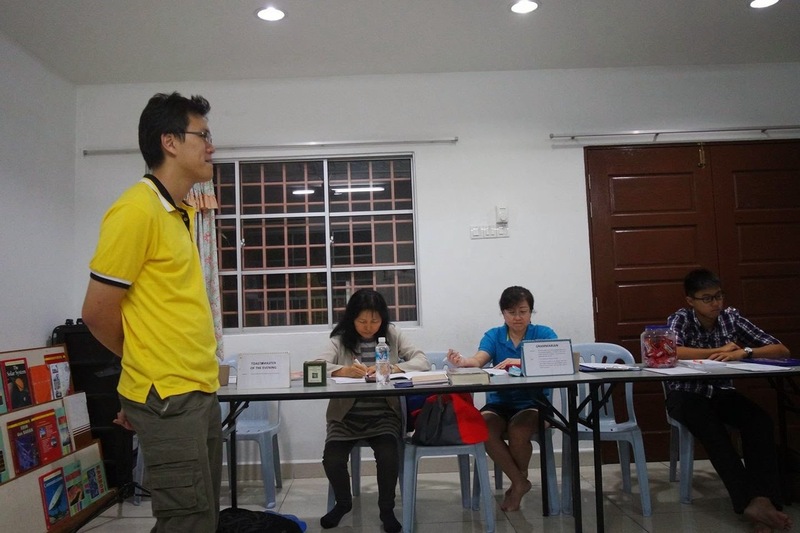 We firstly warmly welcomed the General Evaluator for this meeting, Moses Wong, CC, CL, Area G3 Governor from Mid Valley Toastmasters Club for gracing our meeting! ASA, Ravi called the meeting to order at 7.20pm as those from afar were delayed by the immense traffic congestion happening all over the Klang Valley. Kudos, Ravi for a job well done! President, Jeannie, ACS, CL, explained that obstacles viewed positively are effectively opportunities for improvement and growth in our daily lives as per the theme, “Obstacles are opportunities for our growth” and encouraged all to see through the stumbling blocks to discover the areas for our growth. Thank you, Jeannie! TME, Ken Koh, ACB, explained that he chose this theme because today is GST implementation day. Although times will be harder, we need to be positive in order to survive. He also effectively managed the whole meeting smoothly and excellently. Wonderful job, Ken! Invocator, Jeannie, ACS, CL threw three profound questions to the audience to answer individually which enlightened all concerning the heartfelt important persons, timing and things in their lives. Such a self-reflecting exercise, Jeannie! Table Topics Master, Samuel Koh reinforced the theme and the Word Of The Day, “Opportunity” during the Table Topics session and employed a game to choose the spontaneous speakers You are very innovative, Sam! 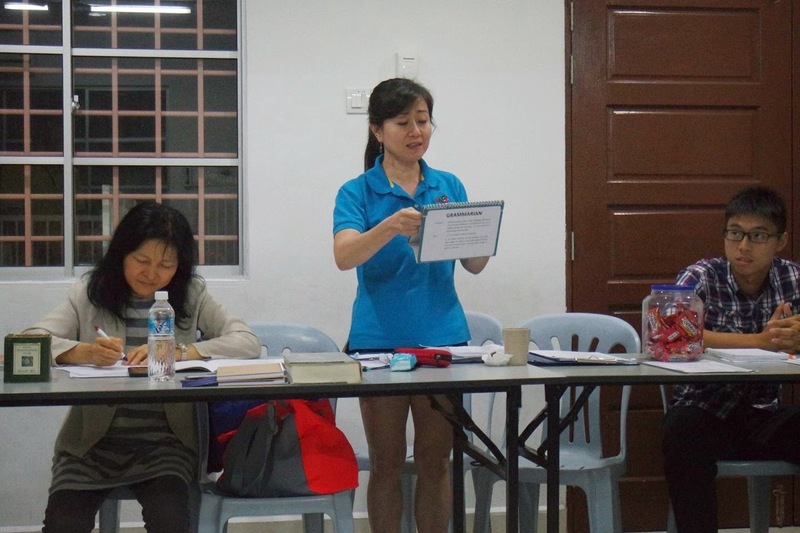 The first Table Topics speaker, Karren Lim mused that the hardest obstacle she had ever faced was to be strong in her personal life as a single mum and to bring up her children happily and healthily. Kwa Ngan Eng, DTM agreed that it is essential to have some obstacles now and then in our lives so as to challenge, strengthen and improve us. Ravi revealed that when faced with obstacles, he will mostly meditate and pray which he found especially helpful when driving during the traffic jams. Shirley Bak, DTM said she diminished obstacles in her work place by ignoring criticisms, be positive and appreciating others. Sheffa revealed that she was stronger than she thought as she obtained a lucrative job out of 5,400 applicants and she was promoted within one and a half years. All five impromptu speakers were not overwhelmed by the obstacles in their topics and had handled them splendidly. Well done! Humour Master, Sheffa shared a joke about an old, childless, forgetful couple who had problems dealing with the routine in their lives. That was a good one, Sheffa! Table Topics Evaluator, SK Ratnam, DTM evaluated all the five spontaneous speakers and gave them pointers to improve on their speaking skills. Thank you, SK! Nicholas Khoo presented CC#1 titled, “Opportunities in a sea of chaos”, starting with a quotation by Sun Tzu and he enumerated the obstacles that he encountered and overcame during his university years. Great speech, Nicholas! 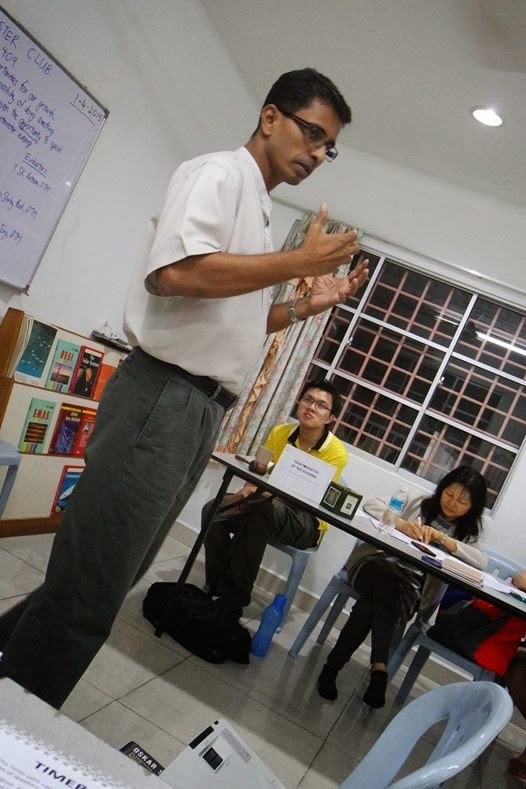 His evaluator, SK Ratnam, DTM was impressed with his discerning and perceptive speech. Thank you, SK! Second speaker, Ravi highlighted that there were two types of confidence, i.e. inner self motivated or externally motivated, to obtain success for his CC#3 titled, “What determined your success: Confidence or Competence?”. A very philosophical speech, Ravi! His evaluator, Shirley Bak, DTM praised his astounding speech and predicted that he would complete his Competent Communication manual speedily. Thank you, Shirley! 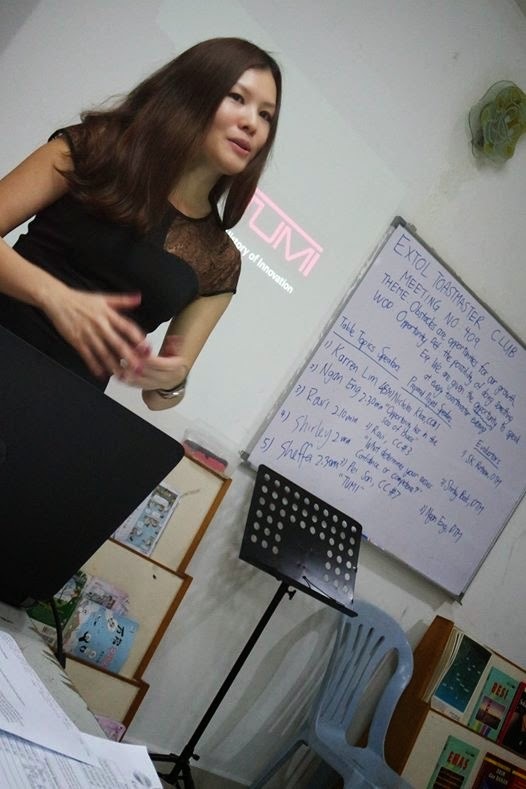 Pei San presented a thoroughly researched speech for her CC#7 titled ”TUMI” on the products sold by her company. Very informative speech, San! Her evaluator, Kwa Ngan Eng, DTM was happy with her well-prepared and well-researched speech. Thank you, Ngan Eng! Ah Counter, Pun Yew Kee gave a succinct report on the word crutches used during the entire meeting. Fabulous job, Yew Kee! 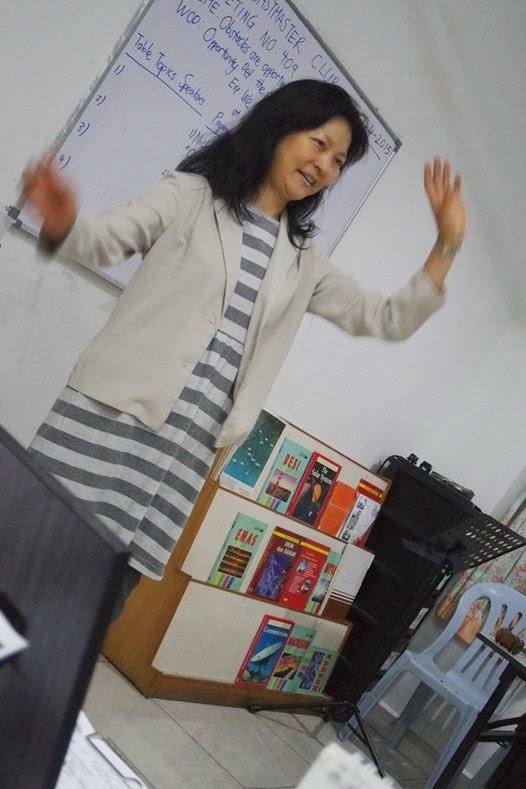 Grammarian, Irene Han was very attentive, reported on all who used the “Word Of The Day” and all the wrongful and creative usage of sentences during the meeting. Well done, Irene! 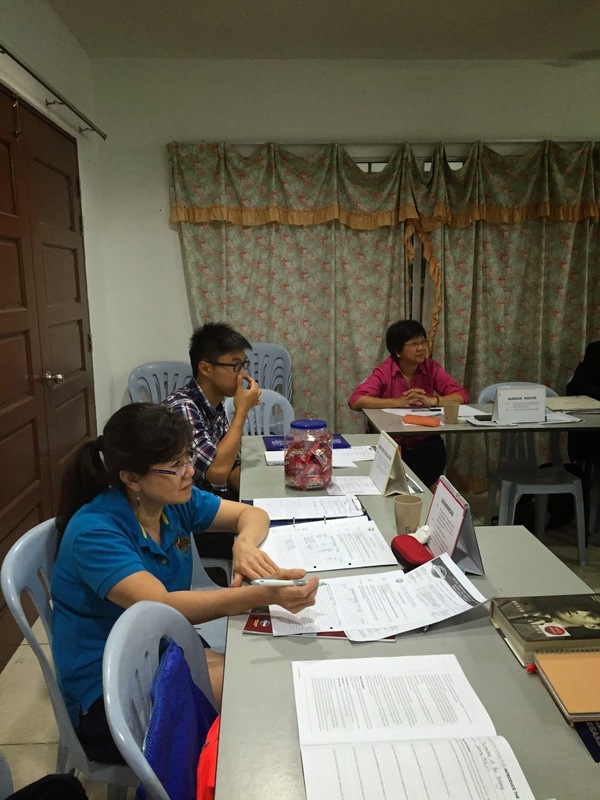 Timer, Karren Lim was meticulous on the timing report of the whole meeting! Superb job, Karren! 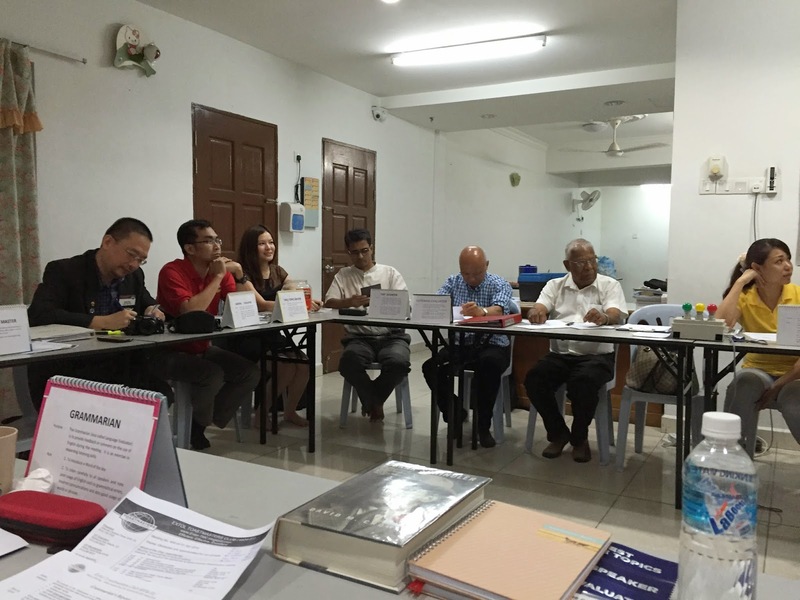 Pun Yew Kee, the Listening Evaluator produced nine extremely complex questions which floored everybody, therefore there was no Best Listener awarded for this meeting. You are amazing, Yew Kee! 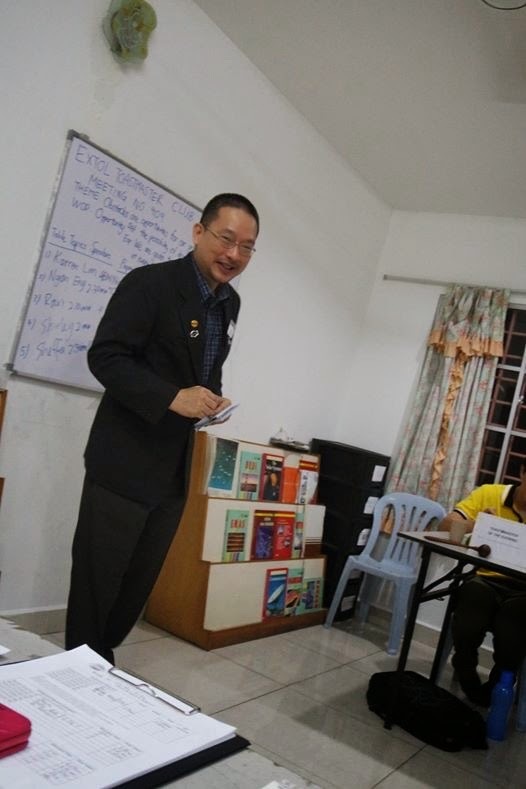 General Evaluator, Moses Wong, CC, CL was impressed with our eager speakers and ardent evaluators and offered advice for further improvement for he envisioned that they would be accomplished speakers one day. Thank you, Moses, again for your distinguished presence at our meeting. In closing, President Jeannie, ACS, CL encouraged all to attend the Division C International Speech and Table Topics Contests which will be held on 12 April 2015 at MIDA, KL Sentral at 12.00noon. With that, good night! Drive safely home and see you on 15 April 2015!